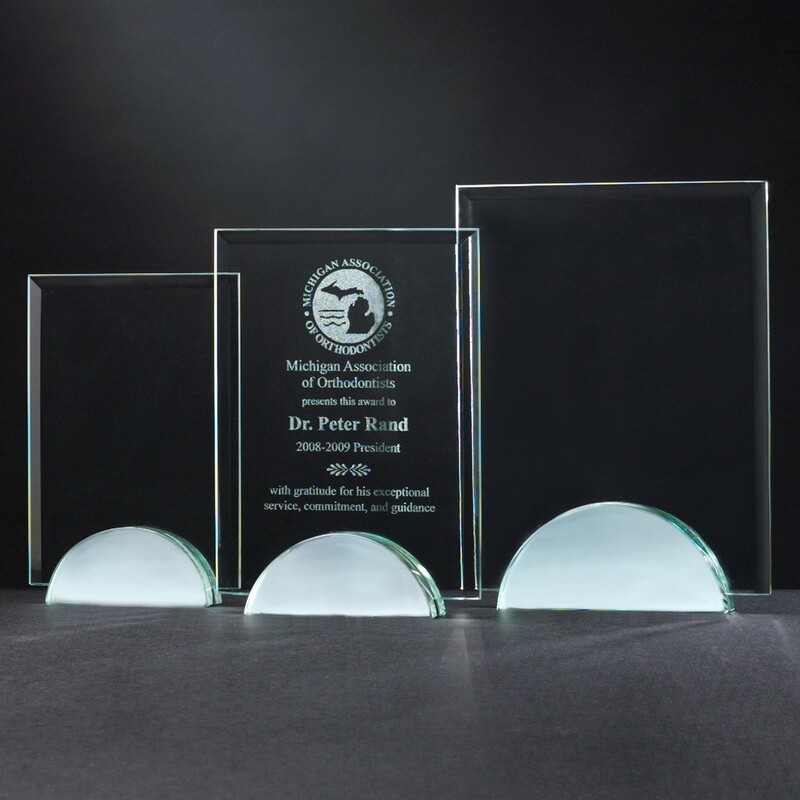 A simple rectangular glass piece sits in a half-circle mirrored base creating spectacular trophies! Be sure to recognize those who are going above and beyond what is asked with lasting awards. These Reflective Base Rectangle Trophies are available in 3 sizes and their simple shape make them perfect for a host of different events! From teachers to CEOs, personalize these great trophies for anyone!